If you're a budding photographer hoping to capitalize on the light show's high visibility this week, "it's actually a lot simpler than most people would think," says one professional. Here are his tips. 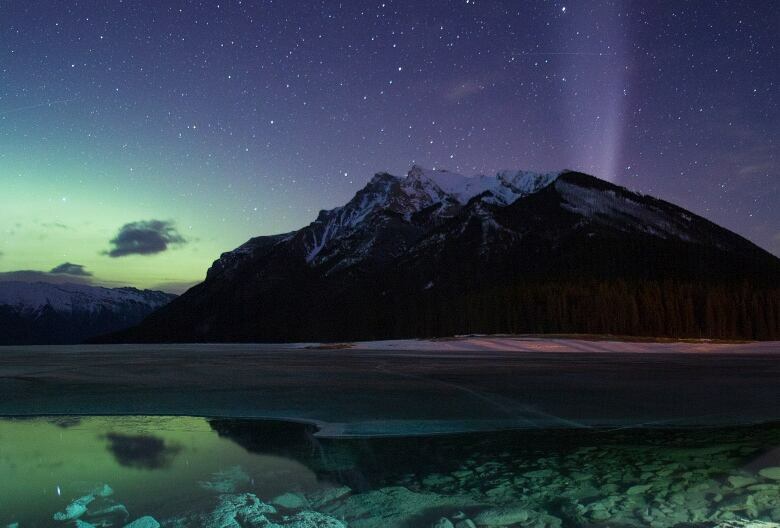 There's a good chance Canadians from coast to coast will be able to see the northern lights this week. If you're a budding photographer hoping to capitalize on the opportunity, the good news is "it's actually a lot simpler than most people would think," says professional adventure photographer Jeff Bartlett. Bartlett says there are only two absolute necessities: a tripod and a camera. As a courtesy to any photographers you may meet while you're out chasing the aurora, it's also a good idea to familiarize yourself with your camera controls before you head out. That way, you'll be able to adjust your settings in the dark, without "using flashlights and ruining other people's photographs," explained Bartlett. A common mistake that people make is to use a 20- to 30-second exposure when trying to capture the northern lights. What you really want is as fast a shutter speed as possible, said Bartlett. "The northern lights move a lot," he explained. "If you use too long a shutter speed, you no longer see the crisp edges and the shape of them. You only see a green haze." Aim for a shutter speed between one and eight seconds long, with an ISO between 3200 and 6400. "Most cameras can go that high before the image quality looks terrible," he said. You'll need to set your focus manually, because autofocus won't work in the dark. Bartlett said an easy way to find the infinity focus of your lens is to focus on a light source that's sufficiently far away. A cheap trick is to leave your car headlights on, walk a few hundred metres away and bring your car into your camera's focus from there, Bartlett suggested. Then leave the setting where it's at, and aim for the stars. If the Kp rating — which is the forecast scale for the northern lights — is at a 3 or 4, there's a good chance you'll be able to photograph the geomagnetic light show, even though it may not be visible to the naked eye. "Some of my best northern lights photos I've taken are when I can't actually see them myself," said Bartlett. Your camera has better eyes than you do, at least when it comes to seeing geomagnetic storms, Bartlett explained. "That's just because the camera gathers so much more light when you leave it open for 2 to 4 seconds." If you see that the Kp rating is a 3 or higher, grab your gear and head to a spot with minimal light pollution. Find a nice north-facing composition and frame your photo, all the while trusting that the northern lights are likely in the sky and in your frame, even though you can't see them. Take a few sample photos to confirm where the northern lights actually are, and readjust as you're shooting. You'll likely take a few dozen more shots than you expect, which is absolutely normal, Bartlett said. If you're located near Calgary, a classic location is Lake Minnewanka. The causeway that crosses the lake faces north and is an increasingly popular spot for photographers chasing the northern lights. 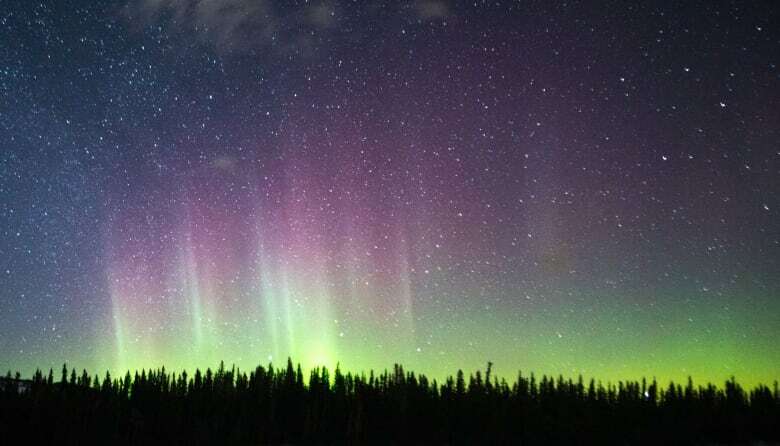 No matter where you are, you'll be more likely to see the aurora borealis if you look north, though when they're really phenomenal, they'll be visible in all four directions, Bartlett said.